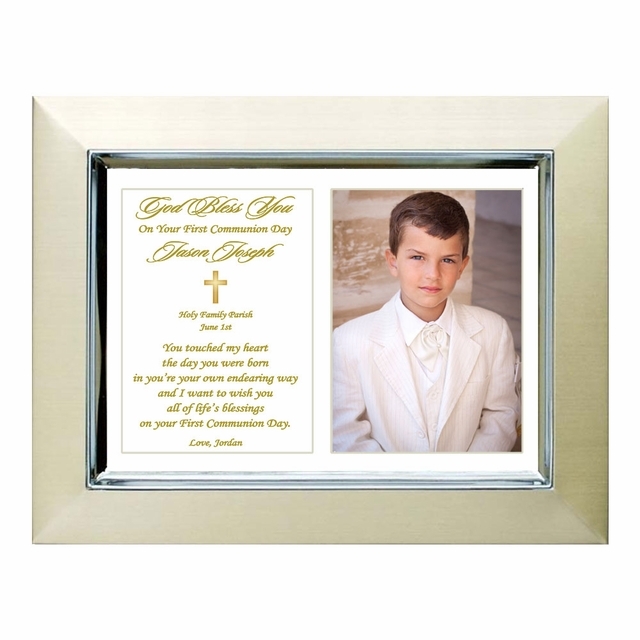 Need a unique First Holy Communion gift for him or her? 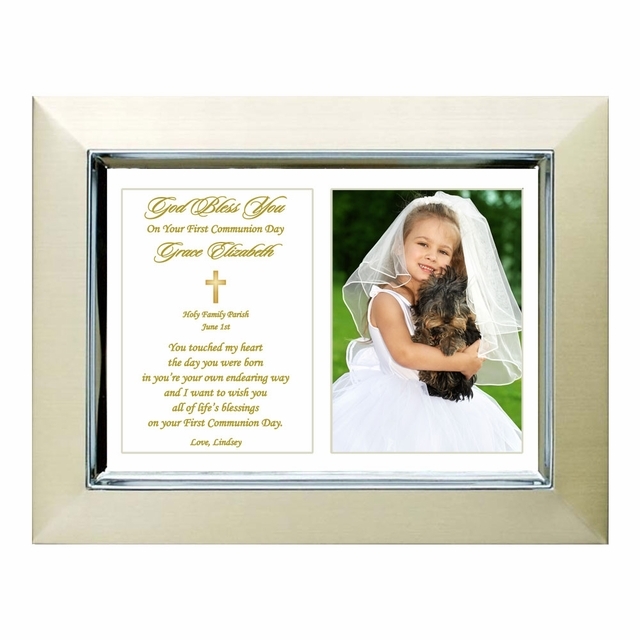 Consider this original heartfelt poem presented in a rich-looking silver and gold 5x7 inch picture frame. 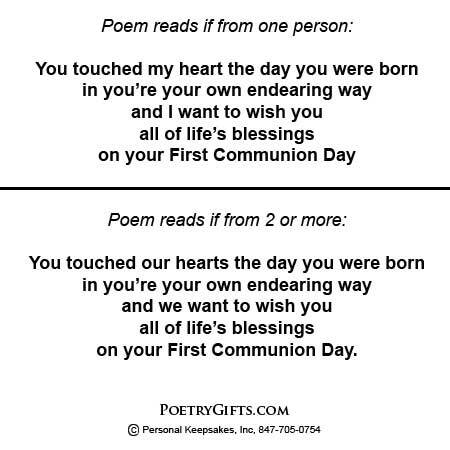 Personalize this Poetry Gift with names, dates, and a loving message from you to make this a treasured First Communion Day keepsake for your son, daughter, grandson, granddaughter or Godchild. There is also an optional opening for that all important First Communion Day photo! Life is made up of special occasions and a First Communion Day is one of those occasions that is never forgotten. 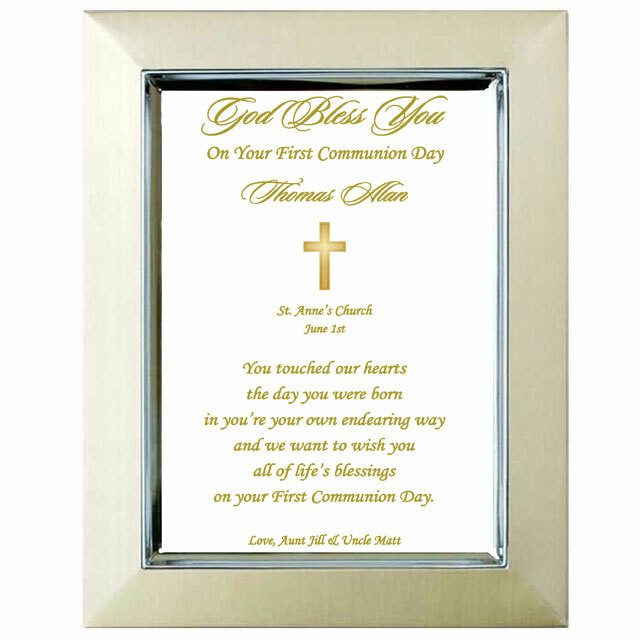 Capture the importance of this day forever with this lovely personalized First Communion gift for the special child in your life. Choose the design with or without a cut-out photo area (photo is inserted after delivery). The original poetry is presented in an attractive brushed gold and silver metallic 5x7 inch frame with easel back and outside dimensions of 7" x 9". The photo opening is approximately 3" x 4". If you do not want a photo area in your Poetry Gift, choose the No Photo Area option when placing your order. The picture frame is great! The customization is accurate. My order is processed in a very timely manner. I will order from PoertyGifts in the future.